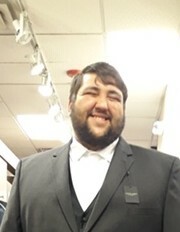 Sean “Bocampo” Hunter Welz, age 23, of Lawtey, Florida, passed away on the evening of April 4, 2019, following a vehicle accident. Sean was born on February 14, 1996, in Gainesville, FL, to Frank Welz and Carmen (Flores) Johnson. He grew up in High Springs, FL and Lake Butler, FL, where he attended Union County High School for a year. He then moved to Live Oak, FL, and graduated in Suwannee County from Florida Sheriff's Boys Ranch. He moved back to Lake Butler, and began working as a mechanic at Ride Now Motorsports in Jacksonville, FL. Sean lived life to the fullest. He always had a smile on his face and enjoyed bringing smiles to others with his contagious laughter. He was an avid outdoorsman who loved to hunt, fish, and ride 4-wheelers. He also had a passion for horses and rodeos. He was a cherished son, brother, grandson, nephew, and friend and will be deeply missed. He was preceded in life by his paternal grandfather, Robert Welz & his aunt Lisa Welz-Keene. Sean is survived by his parents, Frank & Liz Welz of Lake Butler, FL, and Carmen & Ronald Johnson of Gainesville, FL; brothers, Tyler Welz of Fernandina Beach, FL, and Aidan Welz of Lake Butler, FL; step sister, Brianna Johnson of Fernandina Beach, FL; paternal grandmother, Emilie Welz of Fort White, FL; maternal grandparents Dorothy & Dennis Sandlin of Fort White, FL; uncle, Mark (Laura) Welz of High Springs, FL; aunt, Linda (Chuck) Fischer of High Springs, FL; cousin, Jessica Keene of Lake City, FL; best friend, Brandon Combs of Lake Butler, FL; numerous extended family members and friends also survive.